Supporting & Helping? Yes there is a difference. Why help when you can encourage and support. 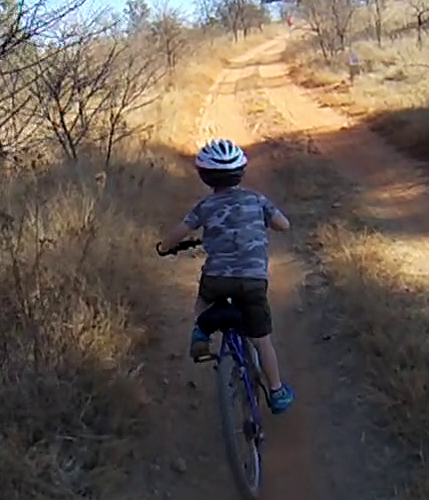 Some time ago my 7 year old, (now 8), did his first ever #mountainbike funride/race. So first things first: I have to punt #Like2bike and the Sponsors of the event Suzuki South Africa. What an experience. Really geared to the whole family. Seeing parents jog/run/sprint and try and keep up with kids of all ages was a sight. How did this get me thinking of #businessintelligence #leadership and #management. Spending time on the bike with my son took away all the noise, the clutter. It made me realize how we tend to complicate things, and that every now and then, a little encouragement can go a long way, especially when times are tough and the climb is steep. I also got to really understand the difference between supporting and helping. Our aim was simple, have fun. Get on Bike, stay on bike, and finish. Lets appreciate the little things, before they are gone forever. FYI: He didn’t get off once. I have digressed, again, to not actually sharing the difference. Here it is in a nutshell. Supporting was me talking, advising and encouraging, guiding him, being there with him. Helping, would have been me getting of my bike and pushing him up the hill, taking away the accomplishment of him doing it on his own. On his own, never take away the opportunity and moment they realize THEY DID IT !